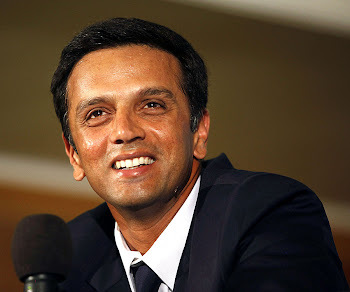 Rahul Dravid: Century no.30 for The Wall! Century no.30 for The Wall! A weird knock (104 runs off 227 balls) for sure. He took 100 balls to reach his first 17 runs. He scored his next 87 runs off 127 balls. On the other hand, irrespective of how his partner was playing, Sehwag was ruthless to the kiwi bowling attack and kept on scoring at the strike rate of 100. No one ever can doubt over the capacity and talent of RAHUL DRAVID.